"The cries of the injured still ring in my ears," says Zeeshan Maseeh, his voice cracking, as he narrates his eyewitness account of Sunday's horrific suicide attack on Quetta's Bethel Memorial Methodist Church. "I cannot forget the blood-stained clothes of the injured and their cries for help," he says. Maseeh had been inside the church, attending Sunday Mass, when two terrorists from the militant Islamic State (IS) stormed the compound. As security officials posted to the church opened fire to repulse the attack, one of the terrorists detonated his suicide vest near the church hall's door. He killed 9 and injured 50 others. The other was shot dead before he could cause more damage. "When the attack happened, there were around 400 people inside," Balochistan Police Chief Moazzam Jah Ansari tells DawnNews. 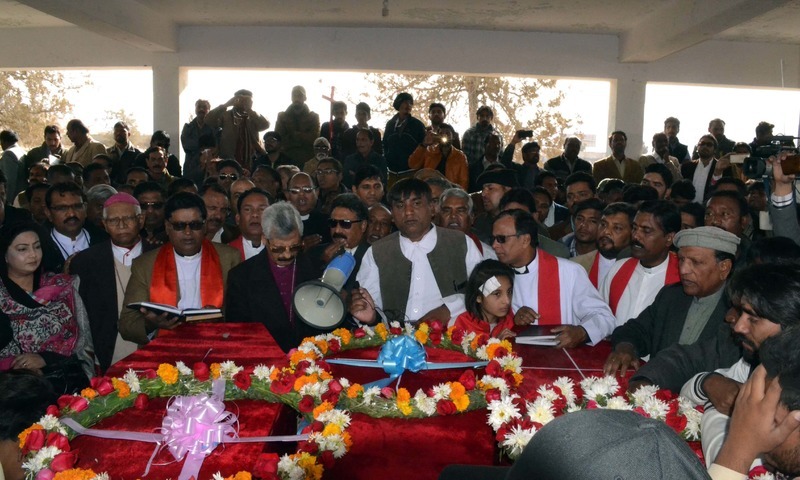 "Police personnel quickly retaliated and killed one gunman at the church's gate while another blew himself up inside the church's compound," Ansari adds. "The church was jam-packed when we heard the first shots," recalls Kelvin, a senior photographer working with Urdu-language newspaper Daily Intikhab. Kelvin was inside the church when the terrorists struck. "Then there was a huge blast as soon as we gathered together," he says. "After the explosion, there was a large pool of blood in the compound where the injured and the dead lay," he remembers. CCTV footage of the attack, which circulated widely on social media by evening, shows two armed men throwing off their shawls to reveal guns and explosive vests as they approach the church. They start firing on the church compound, which is located on Quetta's busy Zarghoon road. A person can be seen bolting the compound's gate from the inside to thwart the attackers' entry. Failing to breach the compound's gate, one attacker jumps over the gate and opens it for his partner. The bullets are flying thick and heavy as policemen posted to the church retaliate. Footage from another camera shows a large explosion and smoke as debris flies out into the church compound. 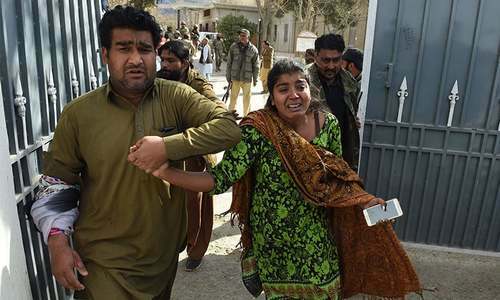 "We were hiding beneath a desk when there was a powerful blast," Suneel Alexandar, an injured teenager, tells DawnNews at Civil Hospital Quetta. "Ball-bearings from the bomb hit my leg," he adds, recalling that no one was there to help as he bled. Rubi Shahid, another survivor, has lost a female relative in the attack. Two other family members have been injured. Standing outside the trauma centre of Quetta's Civil Hospital, she asks that the government and the people of Pakistan extend their help in treating those injured in the blast. "We are all Pakistanis, sisters and brothers. Please help us," she pleads. Like Rubi, a number of members of Quetta's Christian community have been anxiously waiting outside the trauma centre for information about their loved ones. Farhan, whose sister was injured in the attack, complains about a lack of medical facilities at the hospital. "We want better medical treatment,” he shares. Elsewhere, relatives bury the dead in Quetta's Gora Qabristan amid tight security. Christmas is right around the corner. This was the first suicide attack that targeted the Christian community living in Quetta, even though smaller attacks have occurred through the years. On October 8, unidentified attackers had lobbed a grenade on a church located on the Shah Zaman Road. Fortunately, there had been no loss of life and it was largely forgotten. Nobody was booked for their involvement. 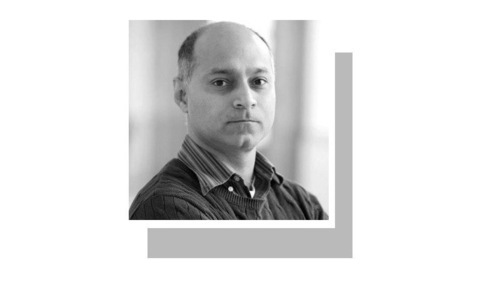 But a tangible fear has gripped Quetta in the aftermath of the Sunday attack. The Bethel Memorial Church is located in one of Quetta's most secure zones. 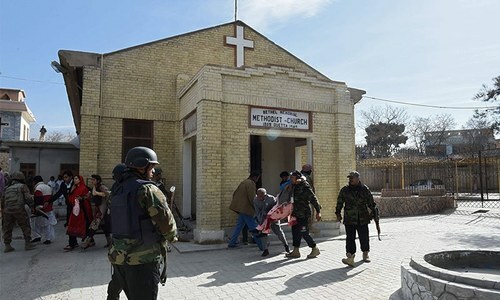 Police have been deployed in and outside all churches in Balochistan in the aftermath of the bombing. "We are saddened, but we will never bow to terrorists,” says Anwarul Haq Kakar, spokesman for the Balochistan government. 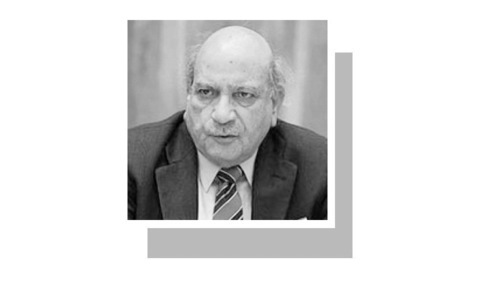 The Balochistan government has ordered a high-level investigation into the bombing. 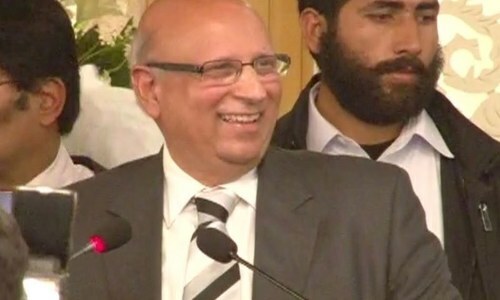 Forensic experts from Punjab have been called in to look into the evidence. "We will bring the perpetrators to book,” Kakar assures, saying the government is determined to set a good example by pursuing the case. Chief Minister Nawab Sanaullah Zehri has issued orders for the tightening of security for places of worship belonging to all minorities. Bombs targeting Christians is extremism, but our everyday bigotry isn't? "We will bring the perpetrators to book,” Kakar assures"
Mr. Kakar, How many have been brought to "book" as of yet? The victims' statements contradict the Government's claims of timely action by security forces. Thank to our brave police and security forces to end this bloodshed before they enter the main church and than it would been very bad, RIP INNOCENT SOULS. Apparently this is a gross failure of pronvincial government to save peoples lives.There should be more preemptive securities measures by the government and all the people must unite against terrorists. It is time your church walls are high and barbed and doors strong with two step identity verification. Next post strong private security guards who are your own people and give them useful licensed weapons to defend you. You need to learn modern security.